What happens when the universe gets in the way of your “follow through”? crazy, sexual debacle after the next. release will be out of this world. 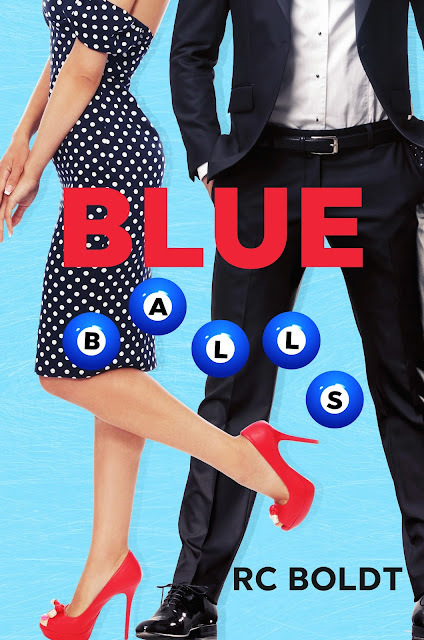 Blue Balls is a hilarious standalone that will have you crying through your laughter, and cringing at nearly every turn. While this is a standalone, it does follow the secondary characters from Clam Jam (another hilarious read). I really wasn't sure what I was going to find when I started reading this book. I will say that the story was cute, hilarious, and so much fun to read. I absolutely love Jack and Sarah and they are easily one of my favorite couples. With that being said, I will say there were a few moments where I thought there has to be more to this story than a few failed attempts at getting biblically acquainted, and there was definitely more to the story. I was swooning left and right and how determined Jack was to win Sarah over. So my advice to you readers, is don't give up on this book because you will love it. I mean has RC ever let us down? Just know that about half way through I was saying "ok you guys get it together, it can't be that hard" but it as for these two and that made one heck of a story that I will not forget. So overall this was a fantastic read and did what a book is supposed to do, gave me an escape from reality while making me fall in love with these two crazy characters. I can't wait to see what RC has for us next!